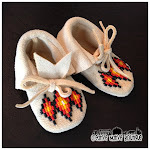 I finished these beautiful baby moccs for a new baby boy arriving in a month or so. 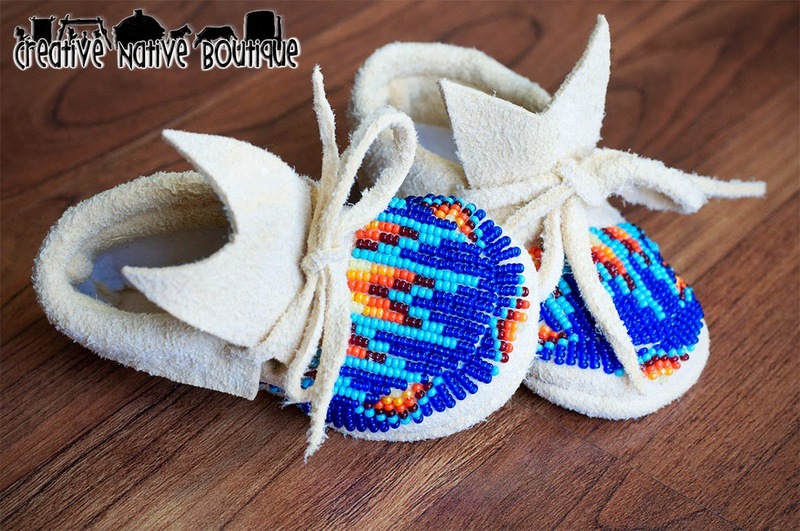 They are on their way to California. 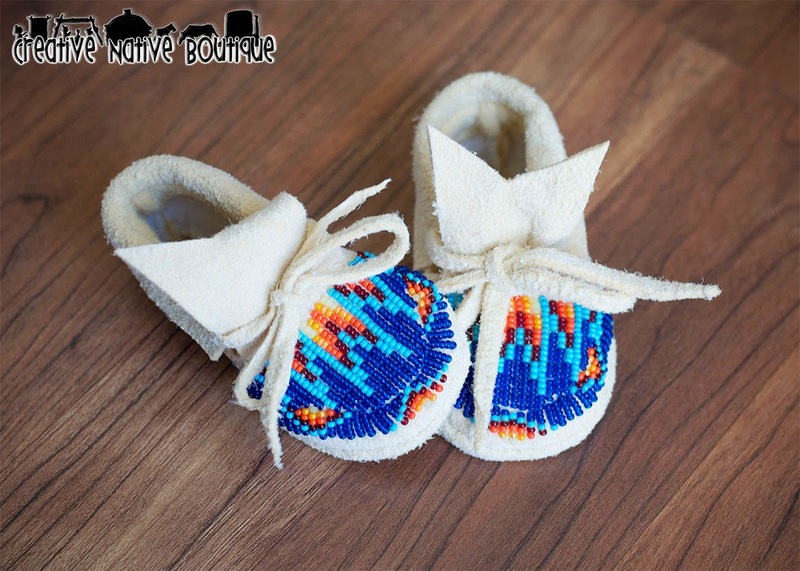 Love the contrast of the dark blue and turquoise with Shoshone design! 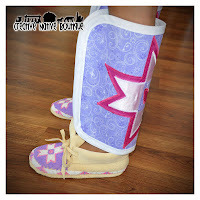 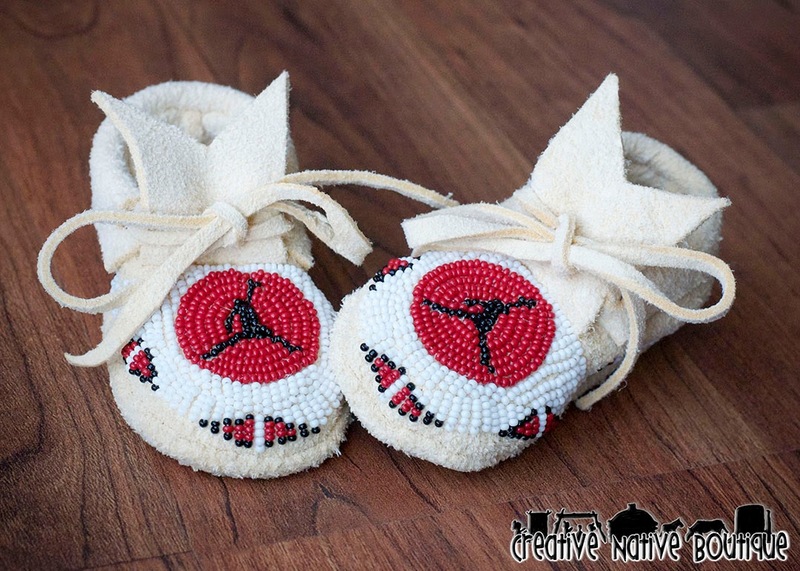 This Native baby will be turning heads as he wears these custom "Jordan-inspired" baby moccasins.